If I asked you which is your favorite time in a day, what would you say? Well, I would say, first is my night sleeping time routine 😋 Next will be my bathing time. And next will be my time getting ready for office. I feel bathing time is a time for relaxation to refresh and rejuvenate yourselves. And I love trying out various bath and body products. Though we can’t have a spa day everyday, we can use spa-like products to create a similar experience at home. 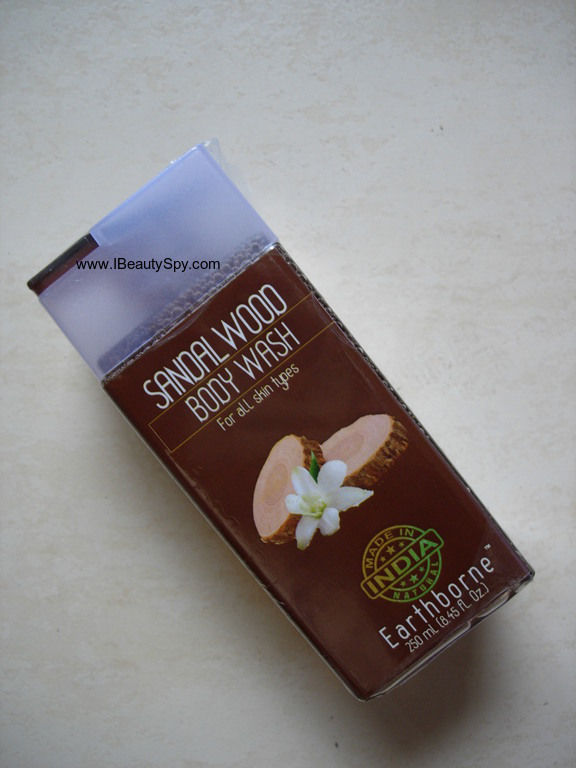 Recently, I was sent this Sandalwood Body Wash by The Nature’s Co which is a SLS free, paraben free body wash. I have already reviewed some of their products here. For those who don’t know about The Nature’s Co, it’s a PETA certified brand which means that the company is completely vegan friendly and also practices non-cruelty to animals. People for the Ethical Treatment of Animals (PETA), the largest animal rights group in the world, is based in the United States with two million members and supporters. For me personally, I feel The Nature’s Co brand on par with The Body Shop. It’s great to see an Indian brand being on par with an international brand in terms of quality. I haven’t tried their skincare range, but their bath and body range is awesome. Even better than The Body Shop. Somehow I feel TBS bath and body products have strong and artificial fragrances. I am sold out with The Nature’s Co on this as the fragrances are subtle and completely natural. 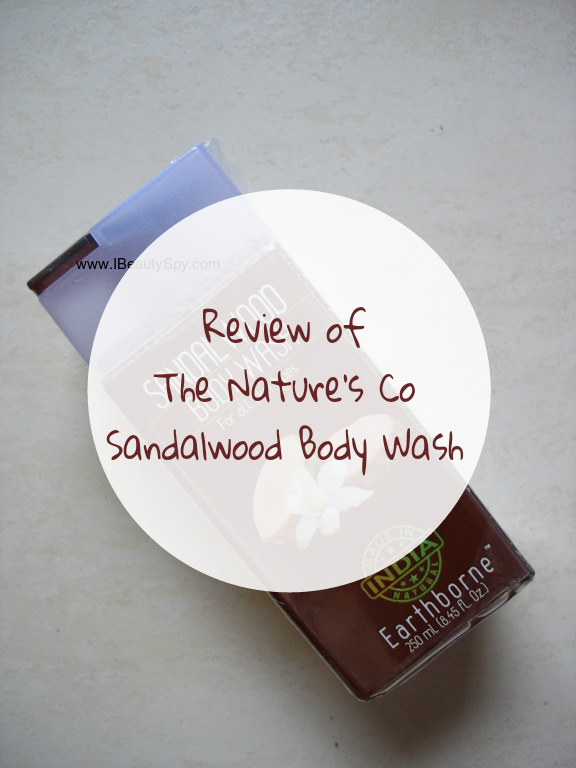 So let’s jump into the review of the body wash.
At the Nature’s Co, nature is a way of life. Here, a strict adherence to the ‘all natural’ way persists. The products contain the natural ingredients that are against animal cruelty, vegan and of best quality from across the globe. Age old, traditional natural remedies have been meticulously sourced and recreated in convenient, modern forms that are practical, hassle free and innovative. To conserve natural resources, product development & designing teams have taken extra care to ensure that the packaging uses only materials such as Glass, PP and PETG which are user friendly, recyclable or biodegradable and hence totally environment friendly. Mother Nature would approve! Visit the following to read more at Shower-Enclosure.org about the top ten rated enclosed shower reviews which can help you make the right choice for a great shower experience. Red sandalwood extract, Vegetable glycerin,Pro-vitamin B5, Aloe Vera extract. The body wash comes in a cute packaging, a transparent plastic square bottle with a flip-open cap. I love this packaging of The Nature’s Co. The body wash is translucent brown in color with a medium consistency, neither thick nor runny. The fragrance is heavenly of pure sandalwood. As you know, I generally love warm and woody scents, so am totally in love with this. It is not a strong fragrance rather subtle and calming. The fragrance fills up the entire room and makes your bathroom feel like a spa room. The fragrance soothes and relaxes your senses. Even if you are not a sandalwood fragrance lover, I would suggest you to give this a try. The subtle and calming scent will surely captivate you. The body wash lathers really well so a little amount is needed each time. One bottle will last a long time, for two months minimum. It cleanses the skin well without over-drying it. My skin feels fresh and smooth after using this. 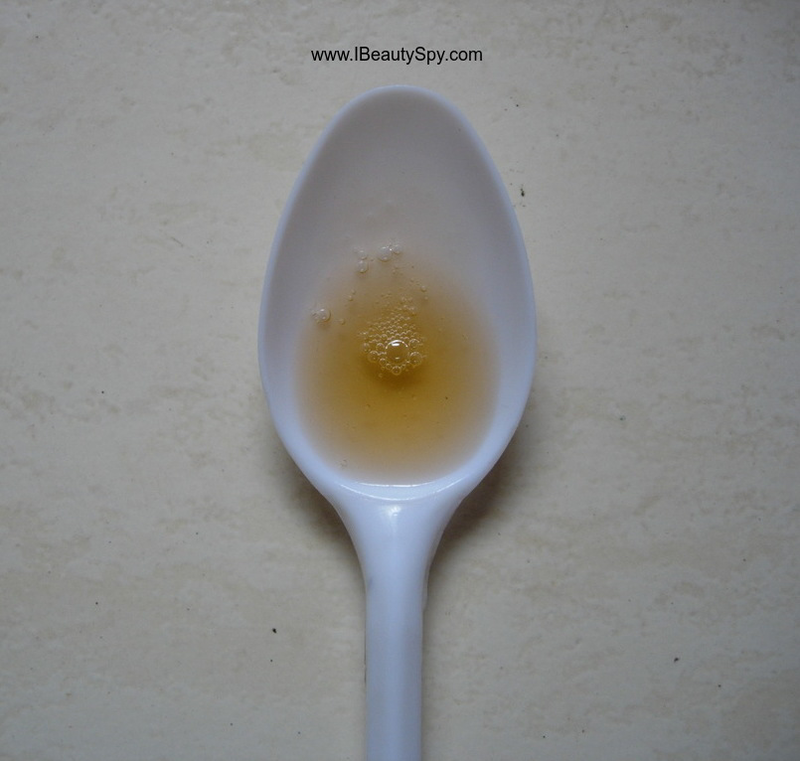 If you are an acne-prone person like me, the sandalwood extracts helps to keep it under control. Those who have normal skin can skip using a moisturizer after this as it is moisturizing in itself due to presence of glycerin and aloe vera extracts. But I have very dry skin and climate in Bangalore is dry. So for me using a body lotion right after bathing gives me the best results. Clean, smooth and silky skin. Plus it is an SLS free, paraben free body wash. What else can you ask for in a body wash? * Warm, woody fragrance which is calming and relaxing – a spa-like effect. * Lathers and cleanses well. * Doesn’t dry out skin much. * Contains moisturizing ingredients like glycerin and aloe vera extracts. * Sandalwood extracts helps to control acne. * Gives clean, smooth and silky skin. * SLS free, paraben free body wash.
* Recyclable, eco-friendly and attractive packaging. * List complete ingredients list instead of only key ingredients. Yes. One bottle lasts long so its value for money. 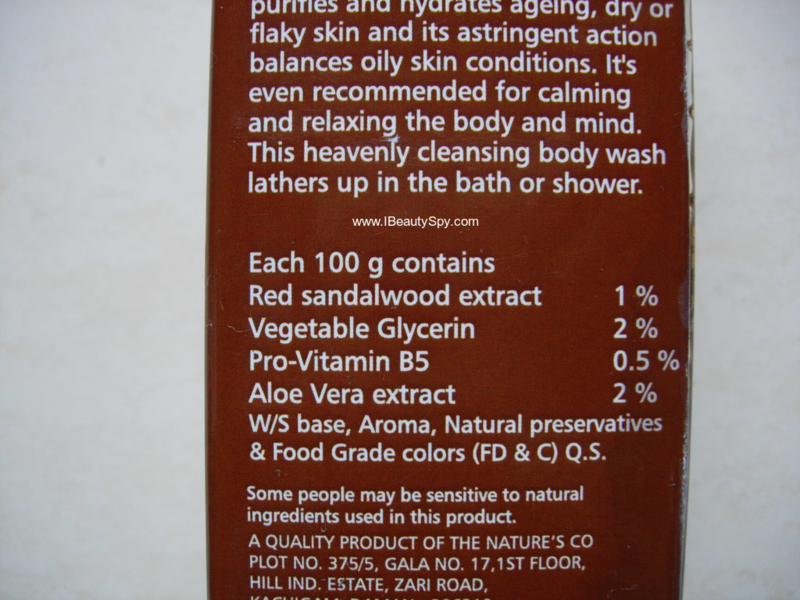 I am totally in love with The Nature’s Co Sandalwood Body Wash. The fragrance tops the list as well as the body wash is effective. I would say it is an affordable way to get a spa-like experience at home. Also I like the fact that it is an SLS free, paraben free body wash. Am proud that an Indian brand is coming up with such quality products on par with and even better than international brands. Have you tried any bath and body products from The Nature’s Co? Do you prefer a SLS free, paraben free body wash? Share your experiences below. Nature’s co products amaze me time and again. This sounds like a great body wash to try out. Nice review. 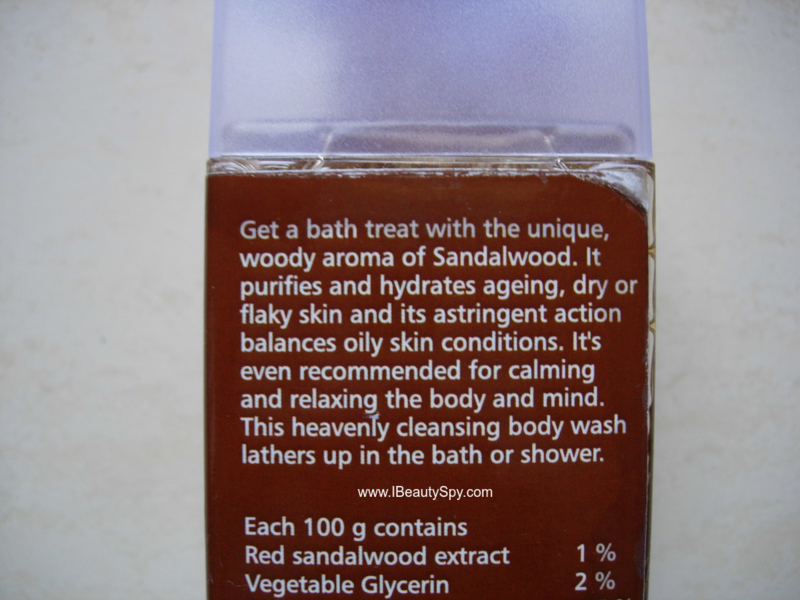 I think I should give a try to it, as I love sandalwood and I use raw sandalwood powder as my daily cleanser. Sls free, Paraben free and vegan.. sounds like the brand is doing something right. Yes, Sangeetha. I love their Bath and Body range. I have previously reviewed their Cucumber Body Lotion too.. Yes, I too feel the same Sonali. But try The Nature’s Co. They have more natural fragrances. i completely agree about favourite times of the day, i think i’d pick the same three as you, in the same order! this sounds like a great body wash.. perfect for a monday especially when you need help getting out of bed 😛 something to look for ward to haha! I am a big fan of TNC products and love using their body washes especially during trips!